Shop from over 100 used cars, trucks, & suvs. Use our convenient free locator service if you don’t see the vehicle you’re looking for. Contact us or Call us at 919.878.5566 today! Celebrating over 10 years since we opened in 2008 starting with 30 vehicles to now having 100+ available, as well as being able to help locate somethoing specific someone is looking for. We can also help with financing a first car or help with getting a 10th! Let us know how we can help today! 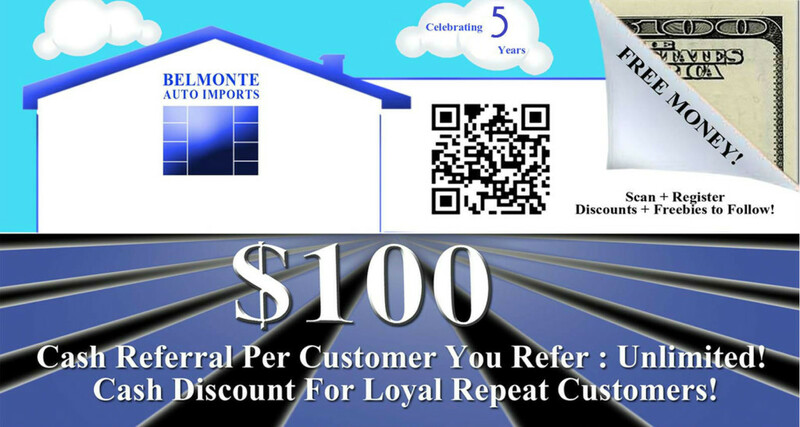 $100 to you per referral. You must submit their info to us or the customer must confirm that you are the referring person before the deal is done to be a valid.